The rapidly-changing, fast-paced healthcare industry necessitates a flexible staffing strategy that allows organizations to quickly increase staff to meet the demands of peak periods or special projects. The run-lean operational approach of recent decades has also left most care management teams feeling overwhelmed and understaffed even during workload fluctuations triggered by business circumstances as natural as employee attrition. When your organization needs specialized help to step in and relieve pressure during these critical situations, you can turn to The Jacobson Group. Leverage our extensive expertise and network of care management consultants to help you bridge the gap. Whether you need one care management consultant or an entire team of nurses, we can provide the temporary support you need onsite or in a work-at-home setting. Jacobson connects clients with health insurance consultants — including interim medical directors and project nurses — who are the solution to your organization’s temporary clinical needs. Our health insurance consultants offer a wealth of comprehensive experience, helping alleviate the pressures of critical health insurance special projects or surges in demand. Whether you need a healthcare management specialist to bridge the gap during a permanent search or a team of nurses to increase staff levels during a busy season, Jacobson can help. We leverage our considerable network to provide the tenured expertise your specific project requires. For more than four decades, Jacobson has been dedicated exclusively to the insurance industry and focused on building a strong network of talent across multiple disciplines. The consultants that we partner with average 15 years of health insurance experience and bring vast functional expertise in a variety of critical areas, including case management, disease management, NCQA and/or HEDIS audits, medical review, wellness and utilization review. With this level of expertise and functional know-how, our consultants can step into your organization and quickly contribute to your critical project goals. The above list is only a sampling of the type of healthcare consulting expertise available through our network of consultants. 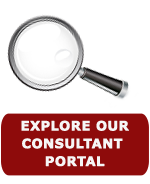 Search our consultant portal for other specialties or contact us for more information.